Zombie Attack under a microscope! 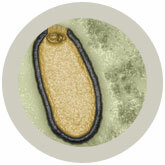 Scientists named this virus Pithovirus sibericum because its shape resembled the ancient Greek wine jars called "pithos." 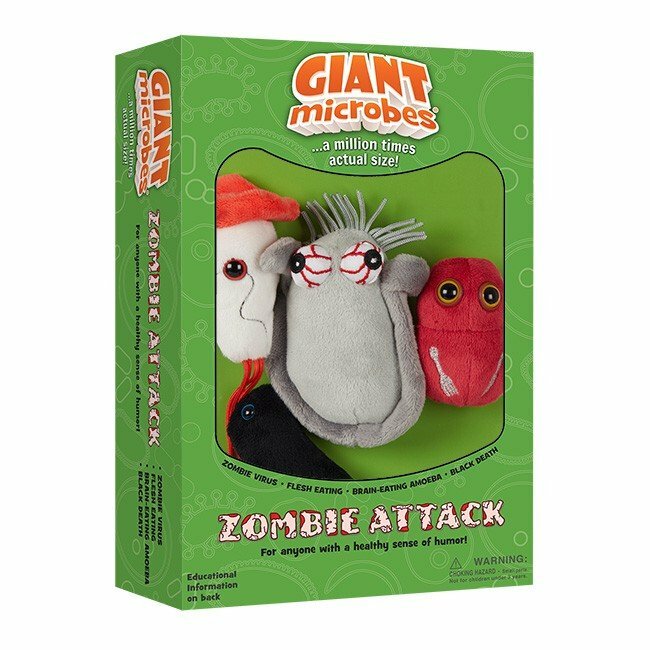 On the microscopic scale, the viruses are absolutely enormous. Over a micrometer in size, they are as large as many bacteria, even larger than some of the smallest known free-living eukaryotic cells. Flesh-eating disease is no dieter's dream. Most commonly caused by crazed strains of the same bacteria responsible for strep throats, it is one of the fastest-spreading infections known. Typically, a minor skin injury allows the bacteria to slip beneath the skin. Pain greatly disproportionate to the injury usually occurs within 24 hours followed by flu-like symptoms and purplish blisters. If you think you have it find out fast – or you may end up on the menu. Brain-eating amoeba, or Naegleria fowleri to its friends, is a fearsome predator that lurks in warm fresh-water lakes, rivers, and springs. 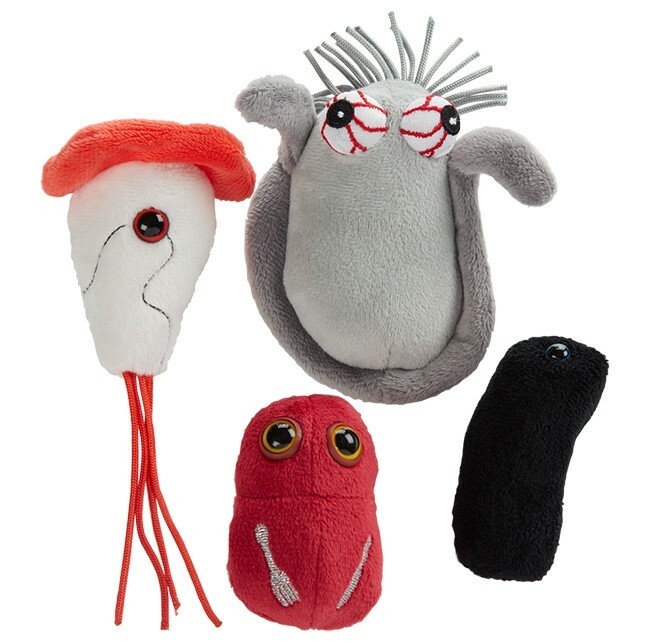 It is not technically an amoeba, but in fact can morph like a sci-fi villain into three different body shapes. Swimmers who are partial to natural environments must be on their guard against this foul demon. If inhaled up the nose, it can travel into the brain and cause the highly fatal primary amebic meningoencephalitis (PAM). In 1347 the Black Death (then called the “pestilence”) arrived in the city of Messina in Sicily. By 1352, 25 million people, a third of Europe’s population, were dead. The plague has not been eradicated, but outbreaks today are few and isolated. In addition, there are readily available treatments including the antibiotic Tetracycline. Nevertheless, antibiotic-resistant strains could one day become prevalent and history could repeat itself again….